With the new renovations to the Prospero house, everyone is feeling great. 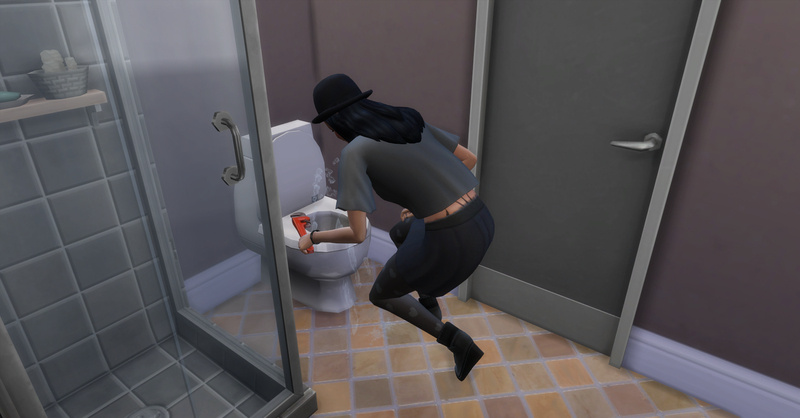 Having a good home cooked meal and sleeping in a nice bed can do wonders for a sim. Rosabelle wakes up feeling great this morning! That is a welcome treat from previous mornings. She heads to the shower and Pawel who got up a few minutes after her uses the bathroom. They are very comfortable with each other! Rosabelle reads a book for fun while Pawel showers. 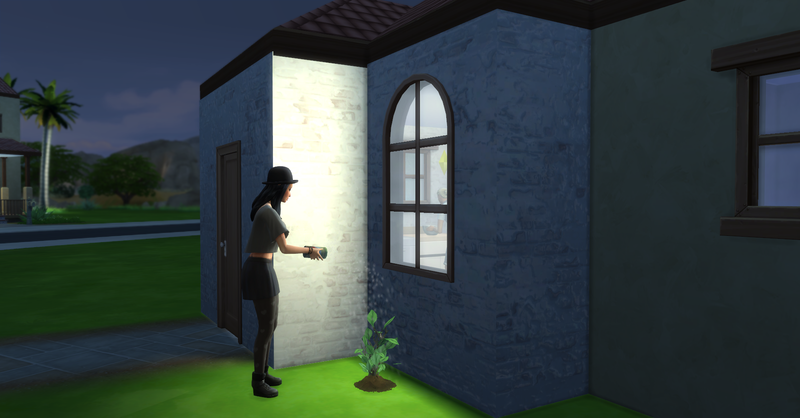 After she finishes reading, Rosabelle decides to plant a blackberry bush for future income for the family. 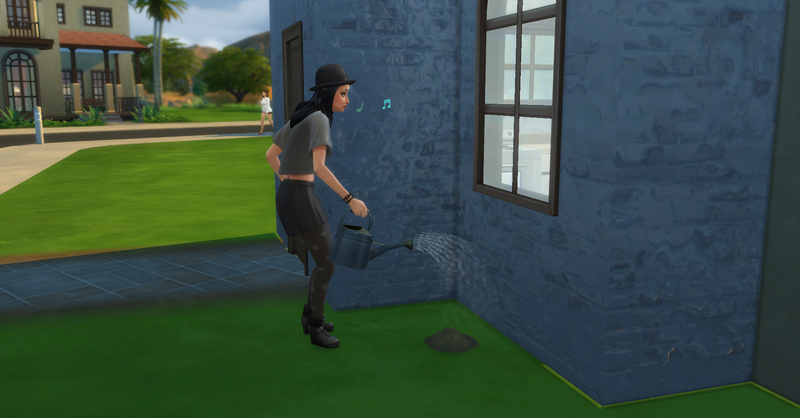 She waters her new planting carefully. Afterwards she and Pawel have breakfast of leftover eggs. At least this time they eat together in the same room, although there still is only one chair. Today’s Report, the screenplay made triple her last best selling book. Their funds are now §10,169 simoleons. Pawel goes to work and Rosabell goes collecting around the neighborhood. She digs up a turquoise crystal here. Rosabelle will be aging up soon and she wants to make sure that she lives long enough to enjoy the lives of her family she hasn’t started yet. Because of this she is saving her aspiration points to buy a Potion of Youth to reset her age to the beginning of her Young Adult lifespan. She is very close to having enough points, so she is desperately trying to earn a few more. On her way home she has a whim to tell someone a joke so she see an interesting looking woman and tells her a joke about vampires. After she gets home she resumes work on her motivational book. 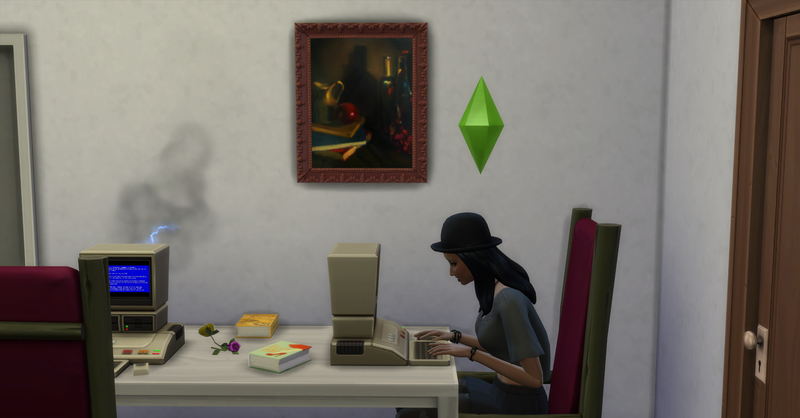 She finishes it and makes a copy to keep which costs §100 simoleons. She then goes and sends the book to the publisher. 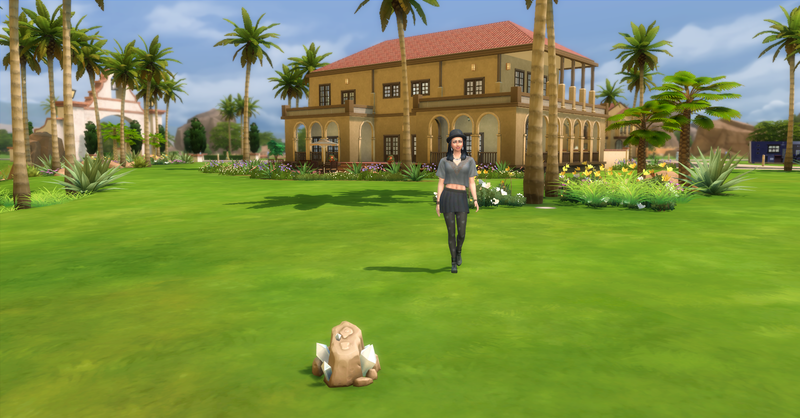 Rosabelle has two hours before Pawel gets home from work so she goes to Desert Bloom Park & Pool to look for collectibles, there is nothing there. She then goes to Acquisition Butte, the affluent neighborhood of Oasis Springs, but there is nothing there either. 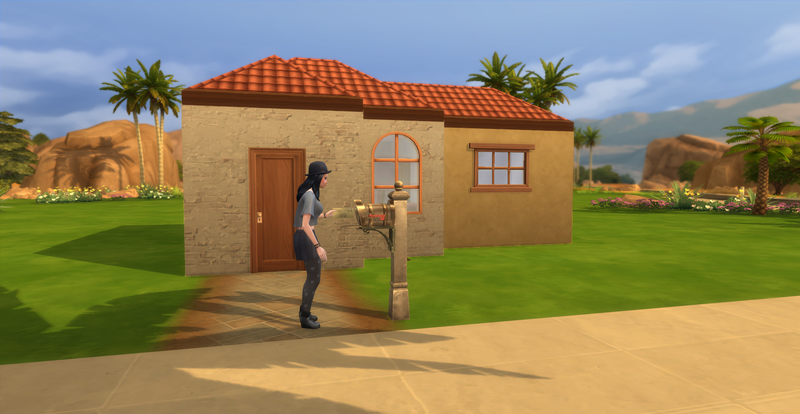 She decides to go to Willow Creek Commercial District, where the Library is located to look for collectibles there. Fortunately there are things for Rosabelle to harvest and collect from around the Commercial District. There is plenty of things to collect and harvest but Rosabelle wants to be home when Pawel gets home so she only collects the dig spots and looks for frogs before heading home. 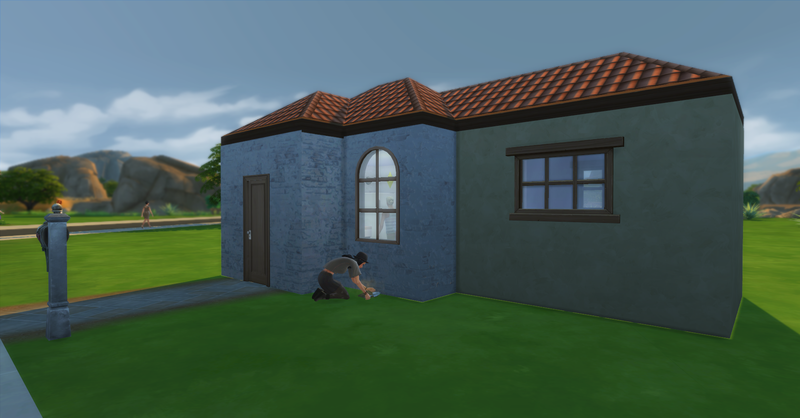 Roosabelle returns home from collecting in Willow Creek and Pawel also returns from work with §256 simoleons. 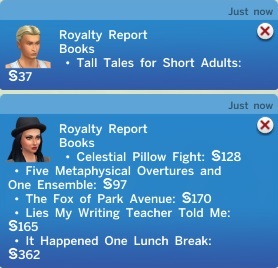 He was promoted today to Freelance Article Writer with a bonus of §509 simoleons and received the still life painting they already have hanging in their living room. Their funds are now § 11,578 simoleons. When Rosabelle gets back to Skyward Palm she goes collecting around the ‘hood while Pawel uses the only working computer. When she gets home she uses some of the lemons she harvested to fertilizer her blackberry bush. Total sold §138, new funds §11,998. 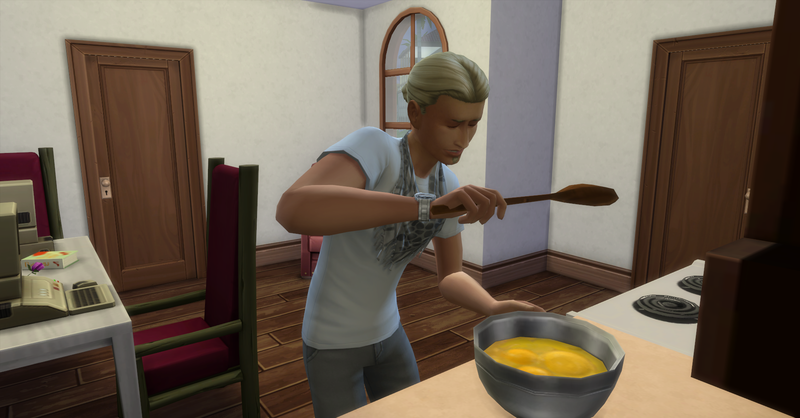 Pawel takes a writing break to cook more family sized scrambled eggs for §8 simoleons. Their funds are now §11,860 simoleons. Pawel had also used the bathroom on his writing break and the toilet had broken. This time it is Rosabelle’s turn to fix it, she thinks it is an important skill to have anyway. She gets 2 common upgrade parts for repairing it. They eat Pawel’s eggs in the bathroom together for some reason. Pawel cleans the dishes in the sink and the sink breaks! He fixes it and get 2 common upgrade parts which he keeps. They flirt a bit with each other. And woohoo before going to bed.